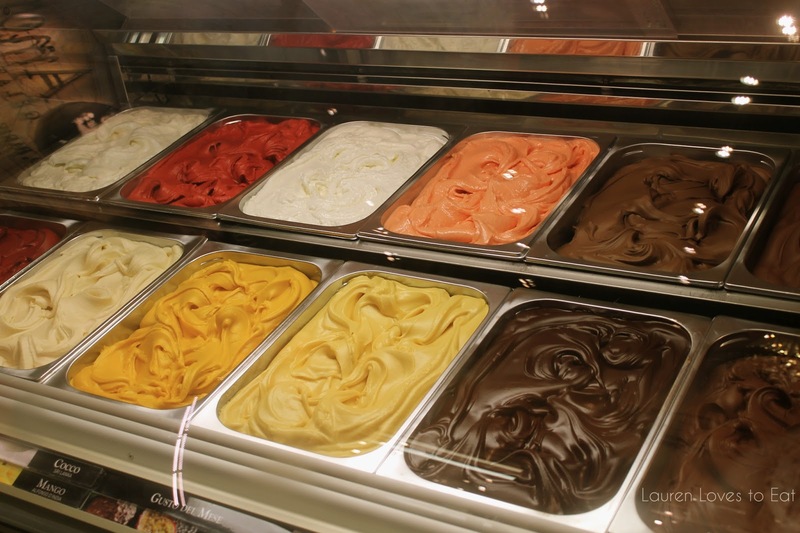 I really didn't think it was possible, but I found a gelato place that surpassed my love for Gorgeous Gelato in Maine. Not only are the flavors rich and creamy, but for no extra charge, Amorino also allows you to choose as many flavors as you'd like, as long as it fits in the cup or cone. The shop we visited on La Ramblas had one display case filled with beautifully untouched gelato, and a separate case on the other side of the shop that the workers scooped from. Two kinds of pistachio, speculoos, vanillas, straciatella, and more. Medium Cone, €4.50 (US$5.78). 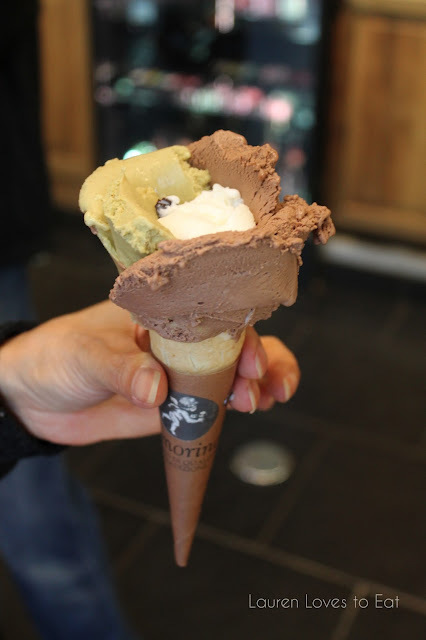 My chocolate, hazelnut, pistachio, vanilla flower cone. Ridiculously delicious. 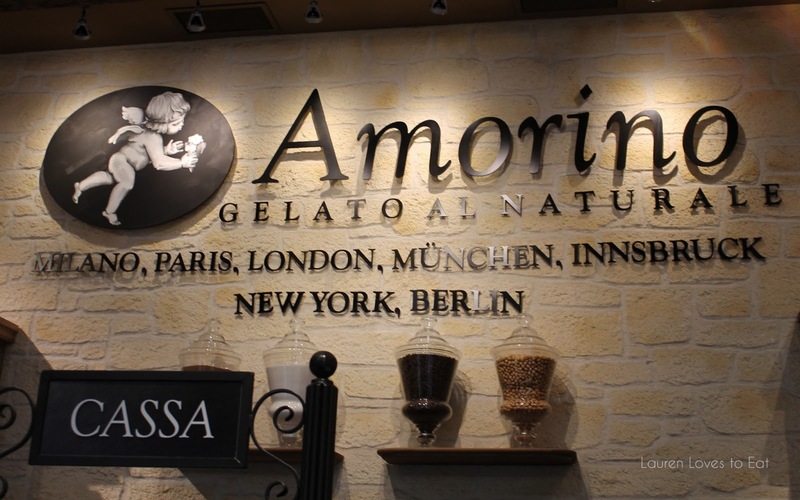 A few weeks ago I was craving gelato so much that my bf ended up taking me to the NYC Amorino shop in Greenwich Village. 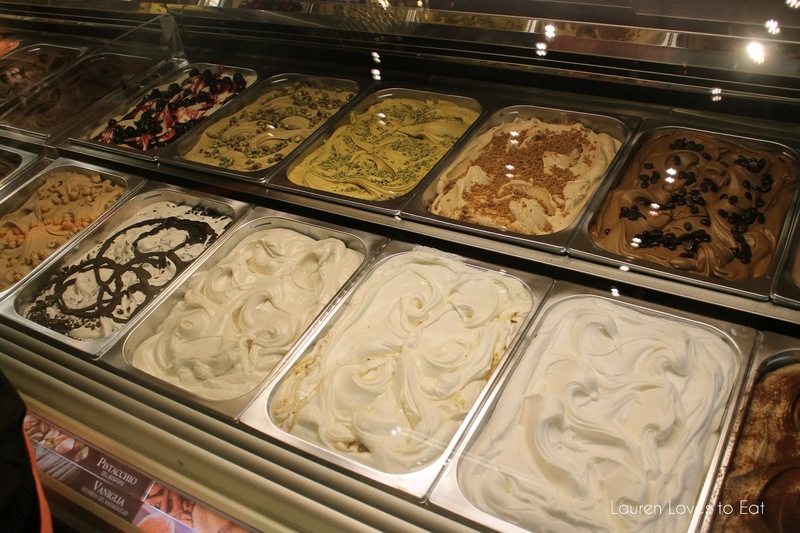 It was so hot and humid that day that there was quite a long line, and more than a little pressure when asking to sample flavors and decide on our order. Nevertheless, our gelato was terrific and I am happy to report that the NYC shop lives up to my Amorino Barcelona memories. i love pistachio ice cream.. or gelato shall I say.